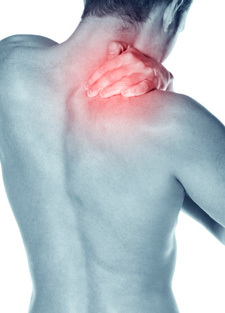 Trigger Point Injections can be an effective option to relieve pain, muscle spasms and inflammation. In keeping with our natural health care philosophy, we inject Traumeel, a homeopathic remedy that is a combination formula of botanical and mineral substances. Depending on the severity of an individual’s case, we may use cortisone, which is an anti-inflammatory steroid, in the injection. A trigger point can be best described as a muscle “knot” that is painful because of muscle tightness and tension. In the TPI procedure, which is very quick, our health care professional inserts a small needle filled with the solution into the patient’s painful trigger point area.